With more than 20 years of experience working in commercial practices, Ian Blaney Architect provides high quality architectural services tailored to your requirements and budget. Tower Place is a world heritage site containing two seven storey office buildings reminiscent of the Willis Faber building in Ipswich. 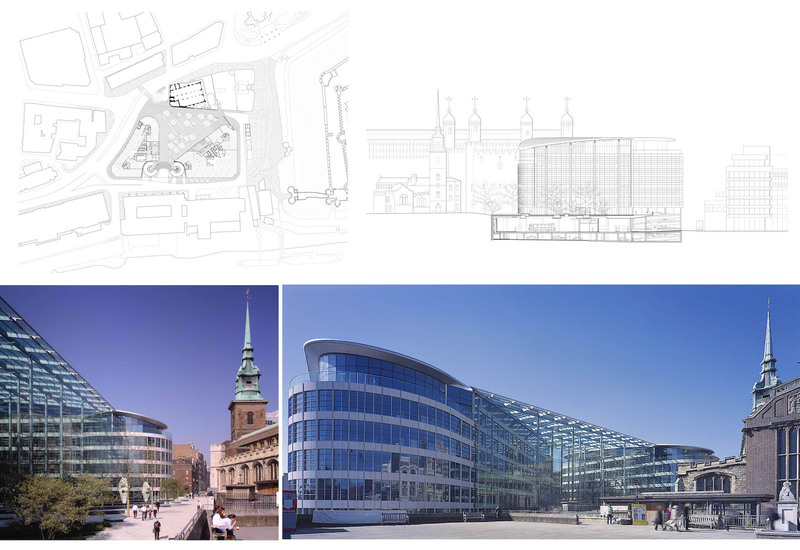 A deep plan office that follows the street line to produce curved corners was first pioneered by Foster and Partners in the 1970’s. The design is broadly two triangular office blocks separated by one of Europe’s largest atriums. At ground level there are a number of retail outlets and restaurants. The East block contains an entrance to the basement coach park for visiting tourists to the tower of London. Ian counts himself to be very privileged to have worked on this project whilst at Foster and Partners. 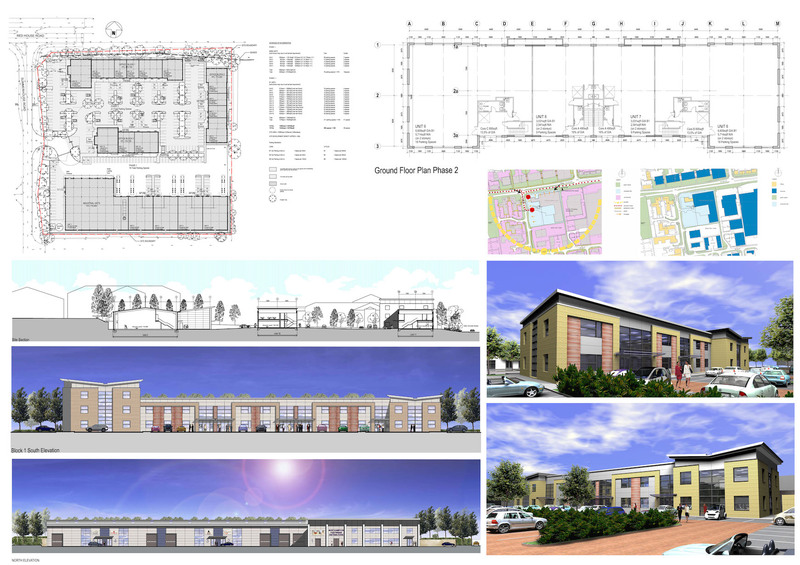 Speculative commercial development of an existing shoe distribution warehouse redevelopment of the site to provide a new warehouse for the shoe company and office development. Two phases, phase one the industrial building and the relocation of the distribution centre is now complete. Phase two will be the office development. 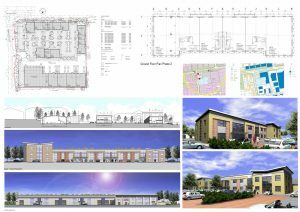 The scheme is very tight in terms of budget and the client has a long term relationship with Woods Hardwick and parkway construction who costed the design from the outset. The offices featured a guy-wing roof and articulation in the remainder elevation by using three materials, metal cladding, wood and bricking aesthetic proportions. Ian worked on this project whilst at Woods Hardwick. The site is located on child’s way a major route in and out of Milton Keynes. 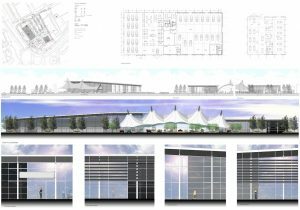 The design responds to being on a corner and the linking canopy provides cover for used cars and events which created a new landmark for Milton Keynes. 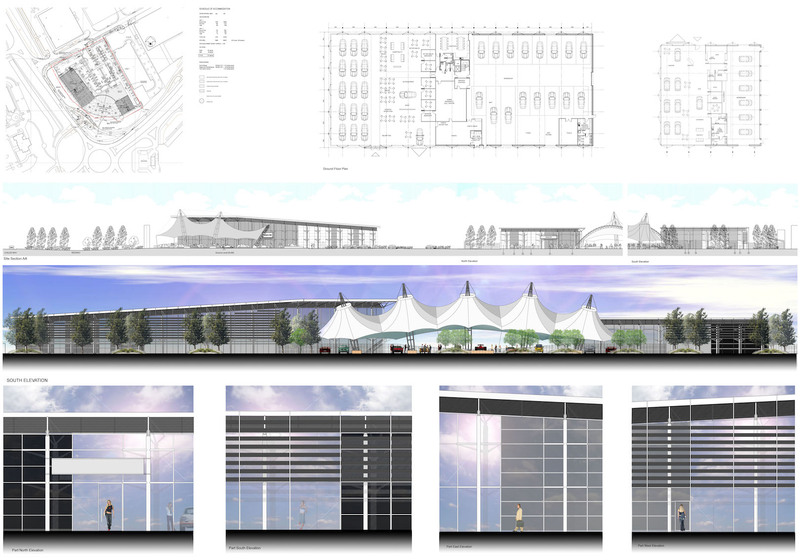 An avenue leads directly to the events space with two car showrooms either side. Both buildings are of similar language with external columns and wind bracing to cladding shading louvres to the south and west facades. Rain water harvesting will be used for car washing and wc flushing and a biomass boiler with wood chip delivered once a month. Ian worked on this project whilst at Woods Hardwick.